The King’s Men, Biola University’s a cappella student singing group, recently released their second CD titled No Turning Back. The CD features the group’s newest music alongside traditional hymns and worship songs, proving to be a unique listening experience. Drew Brokke, a senior music and worship major and member of The King’s Men, was challenged to grow as a musician through the recording experience. Since 1986, The King’s Men, have performed and provided a unique style of music ranging from classical works by Morten Lauridsen to popular works arranged by M-Pact, Glad, and Walt Harrah. Though the members change each year, The King’s Men still continue to remain strong and their desire is that God be extolled through their talents. Walt Harrah, the producer of No Turning Back, believes the experience was invaluable for the group. “It was a tremendous growing experience for the singers, both in their respect of each other’s talent, as well as respect for the process of making a recording,” Harrah said. 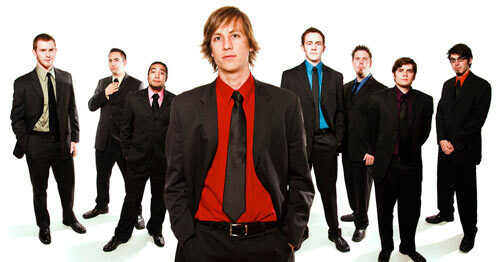 The King’s Men can be found performing at various community and Biola-sponsored events. No Turning Back is available for purchase through the Conservatory of Music and at the Biola Bookstore. Written by Lauren Kermelis, Media Relations Intern. Jenna Bartlo, Media Relations Coordinator, can be reached at (562)777-4061 or through email at jenna.l.bartlo@biola.edu.